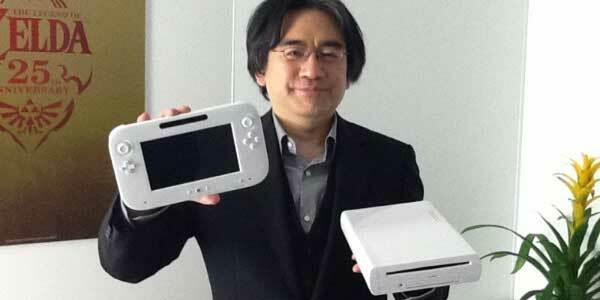 We’ve heard this a few times before, but at yesterday’s investor relations meeting, Iwata took the time to reassure us that his company “learned a bitter lesson from the launch of the Nintendo 3DS” and will do everything they can to make the Wii U fantastic right at launch. For the launch of new hardware, it is, of course, regarded as a sort of requisite not to miss the critical year-end sales season. The company is aiming to firmly complete the development of the entire system and prepare sufficient software so that the Wii U will be at its best at the time of the launch. Needless to say, we have learned a bitter lesson from the launch of the Nintendo 3DS. With all the awesome Wii U features that have come out of this meeting, it really makes me happy to know that I won’t be waiting half a year for them to actually become usable. This shall be full of awesome! I’m just waiting on a date so I can Pre-order. Come on Nintendo; shut up and take my money!!! Judging by how the controller is held in the picture, the controller must not be all that big. I like how he’s holding the entire system in two hands. I can carry a Wii U easily in my backpack! Good, because I’m never leaving home without it. Hahaha! how much do you want to bet the system will launch with atleast 2 large first party titles(mario,starfox,metroid)? with maybe 1 or two more less known first party game like pikmin 3 or fzero. also the system will come out with very much superior and larger versions of 3rd party games. I have a good feeling about the new console . ill probably pre order one so i can get one at launch.a lot more people will probably buy the wii u than expected because of its early next gen graphics and capabilities other than gaming. We’ll see.I’m waiting to see lots of new stuff from WiiU at E3.